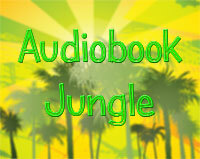 Audiobook Jungle readers can download The Island or any other audiobook for free with a new Audible account. Click the image to sign up and download your free audiobook. 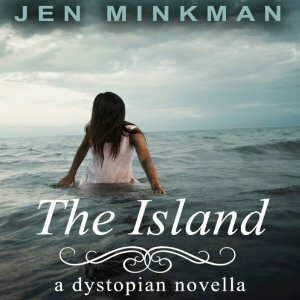 The Island is a short, two and a half hours long novella that surprised me with some clever writing and after finishing it I found myself wanting to see more, to know what happens to the characters next. That was quite a different outcome from my sneaking suspicions when I got it at first – here we go, just another Young Adult book. Not the case it turns out. While the general theme of the book isn’t something groundbreaking, it’s a solid performance that brings up some interesting questions of the ‘what if’ variety. If you’ve read your share of dystopian literature, you’ll no doubt notice the similarity between this novella and The Lord of the Flies, for example. Basically, the premise is that at the age of ten, every child has to leave their parents and move out to The Manor – a place where all the youngsters live on their own, providing for themselves without any outside help. In this completely self-sufficient community everybody does their part – hunting, cooking, laundry, etc. And then there’s the leader – the oldest boy that’s also considered the strongest. He decides what everybody else has to do and if someone doesn’t do as they’re told they’re the next pick for the vicious fights that are regularly held for entertainment and to enforce his position of power. You see where this is going – the Manor is no utopia but the children don’t know how to live otherwise. They’ve been thought this way since a very young age – the moment they are ten years old they’re in full control of their live and should not rely on anybody else but themselves. That’s what The Book says or at least the parts that Saul – their leader decides to read publicly in front of the community. I liked the main protagonist – Leia. She was portrayed just as she should have been for this sort of book – curious, wondering if there’s something more to life than everybody thinks, questioning authority even if there would be consequences. These are things all young people should be thought in order for us to have a proper democratic society. This is a good read for younger readers because the whole ‘us against the world’ thing is right on target with most teenagers who feel that everybody’s trying to make their life miserable. I think that The Island successfully portrays the message that no, the world isn’t actually out to get us and only by working together and relying on each other we can live a good and harmonious life. I thought that was a very nice sentiment. The narration by Coco Bell was spot on. Her voice sounded young enough for a 16 year-old and while at first her tempo seemed a little slow, I got used to it pretty quickly.